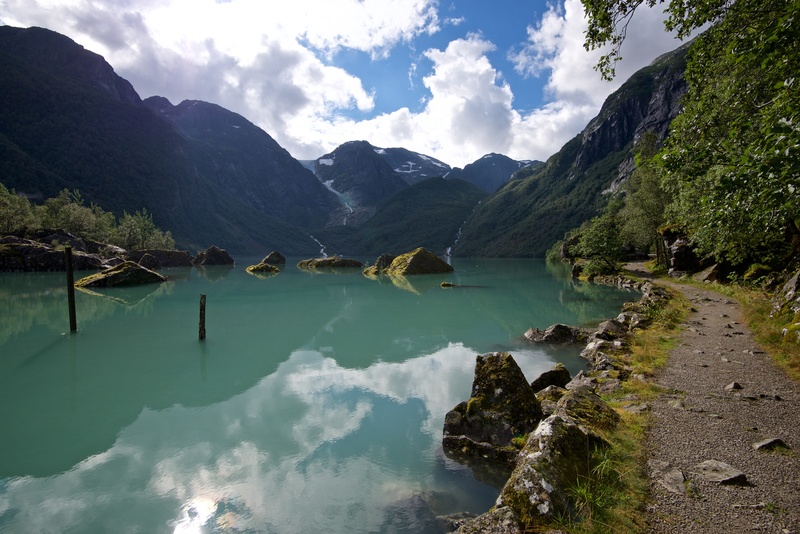 There are however, multiple view points along the way, so an option for less experienced hikers would be to hike only a part of the trail. 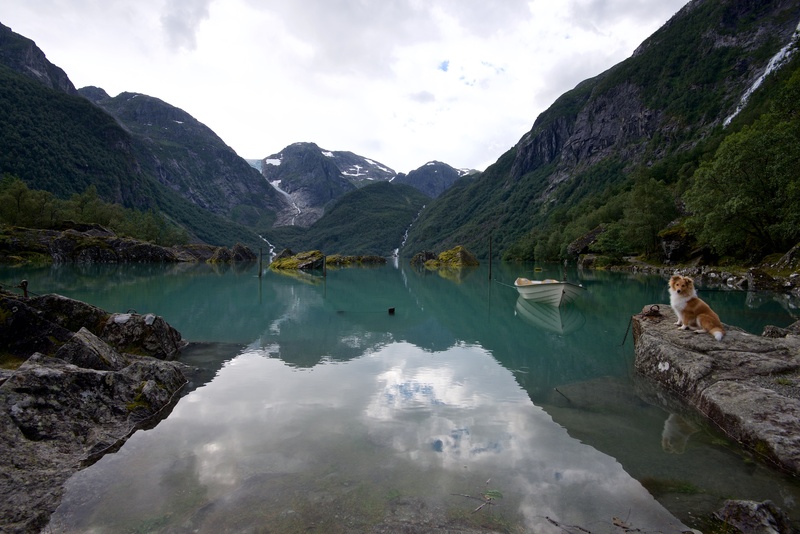 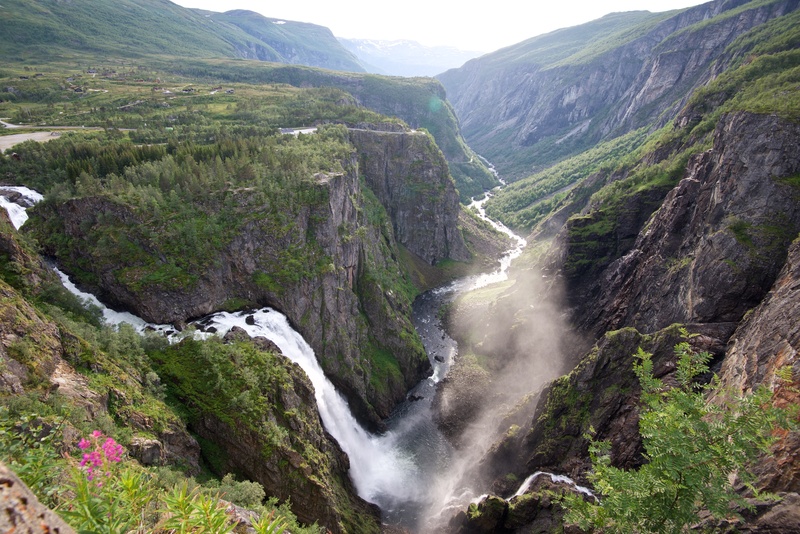 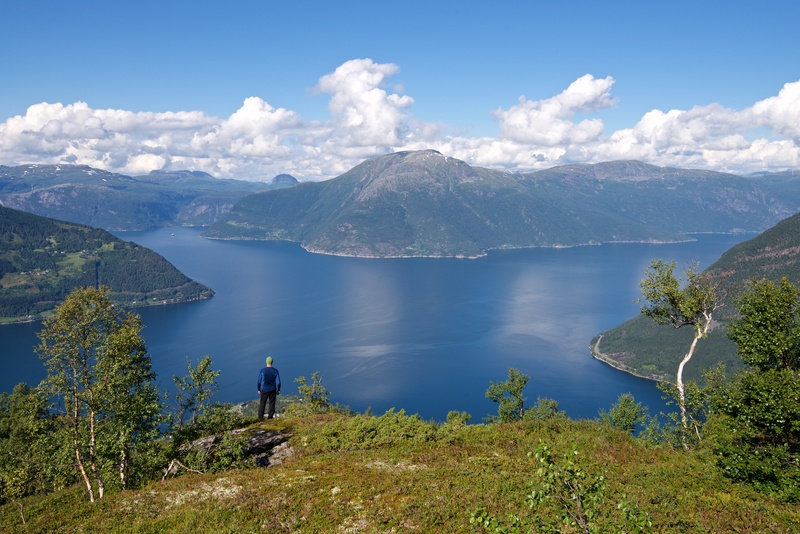 Whether you hike the whole trail or not, you can expect stunning, paranomic views of the Hardangerfjord. 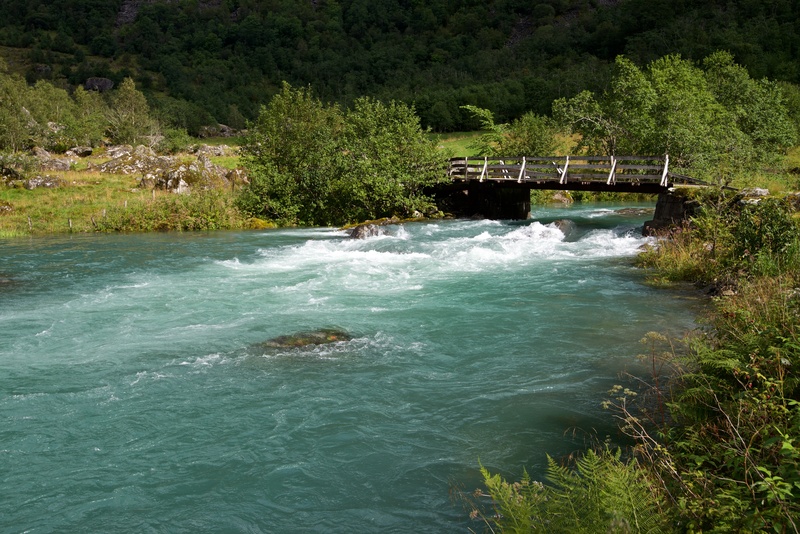 Direction: Drive 2.5 km of steep and narrow road from Kinsarvik to Røte where you can park the car. 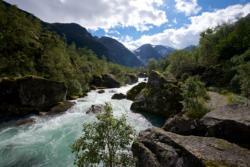 From Røte you follow the forest road to Heng (890 metres above sea level). 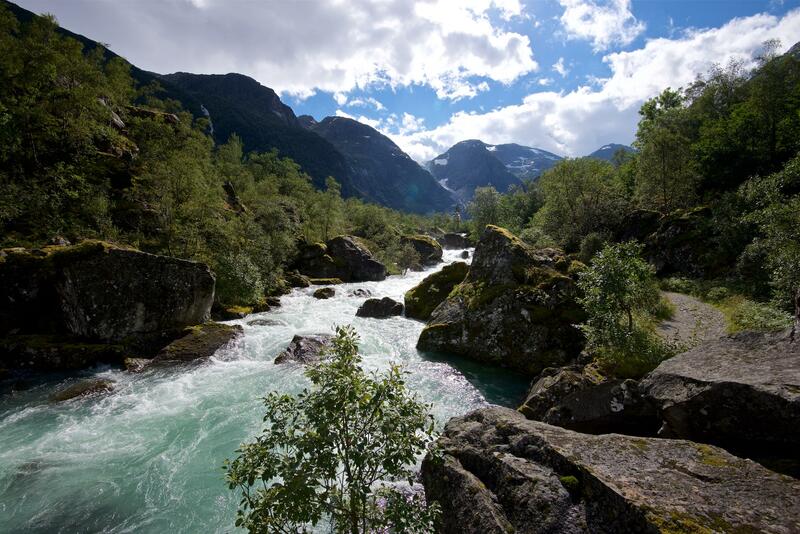 This is where the marked Queen`s Trail begins. 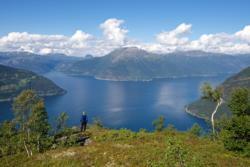 At Heng you can see down to the Hardangerfjord, and the view is breathtaking. The four branches of the Hardangerfjord meets here; Sørfjorden, Utnefjorden, Eidfjorden and Kinsarvikbukti. 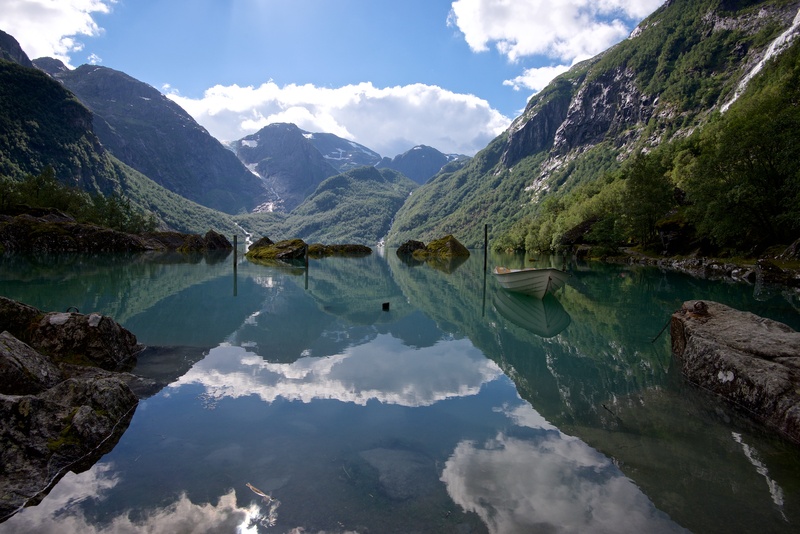 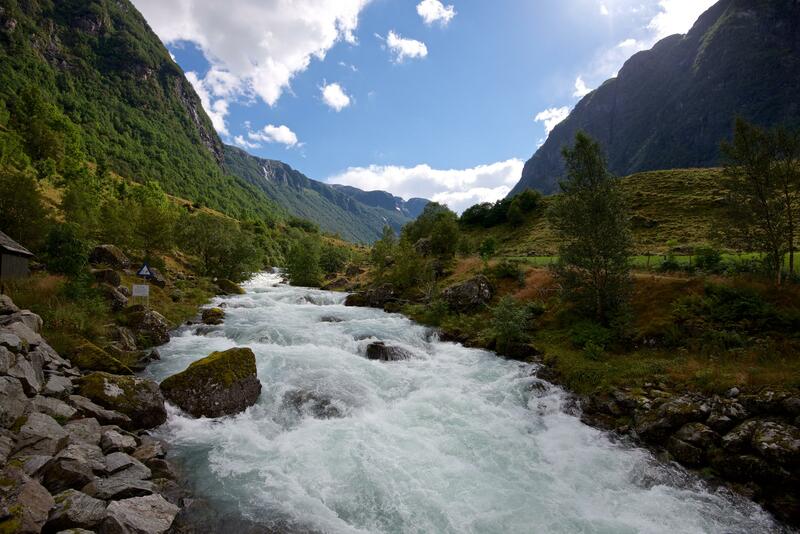 Heng is a great place for a break and to take in the view to the fjords, the surrounding mountains and the Folgefonna Glacier on the other side of Sørfjorden. 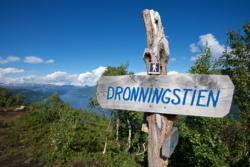 The trail goes south towards Lofthus, and the highest point is 1100 Metres above Sea Level. 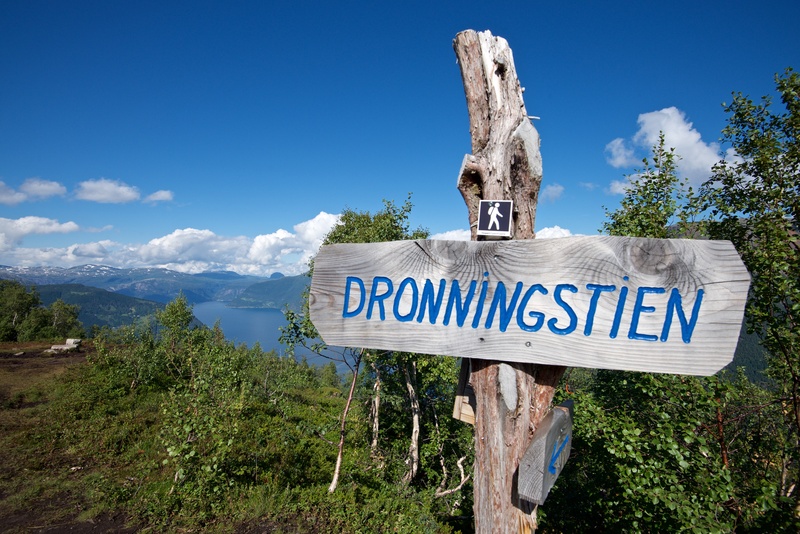 Part of the descent towards Lofthus is on the famous Munketreppene (Monk`s Steps), 616 steps of large stones that was built by British monks in the 13th century. 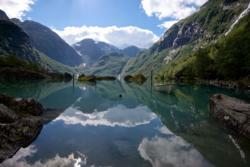 The monks also teached the locals how to cultivate fruit trees. 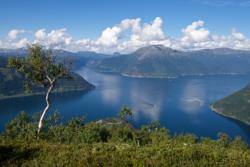 You can see the result of this today, with more that 500.000 fruit trees spread around in Lofthus and Hardanger. Lofthus is also referred to as the Orchard of Hardanger. 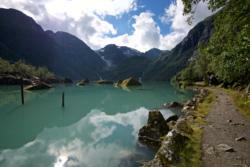 The hike ends down by the fjord at Lofthus. 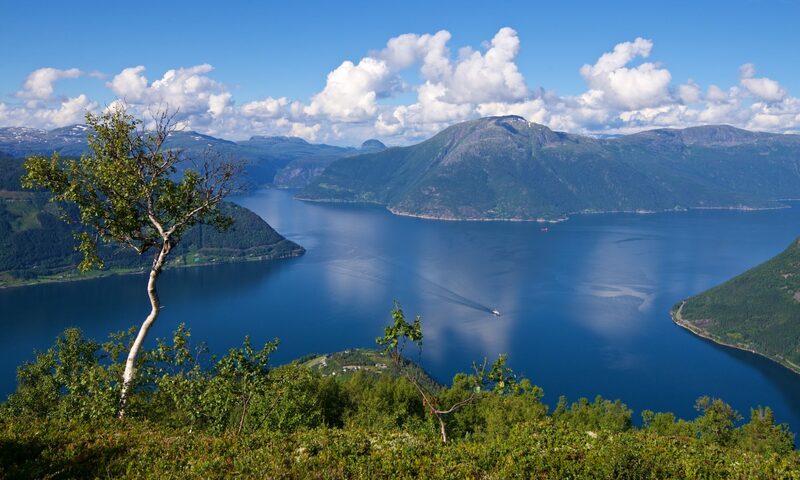 A great way to end a great hike is a relaxing sauna with panorama views of the Hardangerfjord followed by a refreshing dip in the outdoors pool at Hotel Ullensvang. You can do the hike from mid June to October, all depending on the amount of snow in the mountains. A perfect base for excursions to HM Queen Sonja´s Hiking Trail and the Trolltunga Hike is Hotel Ullensvang in Lofthus. 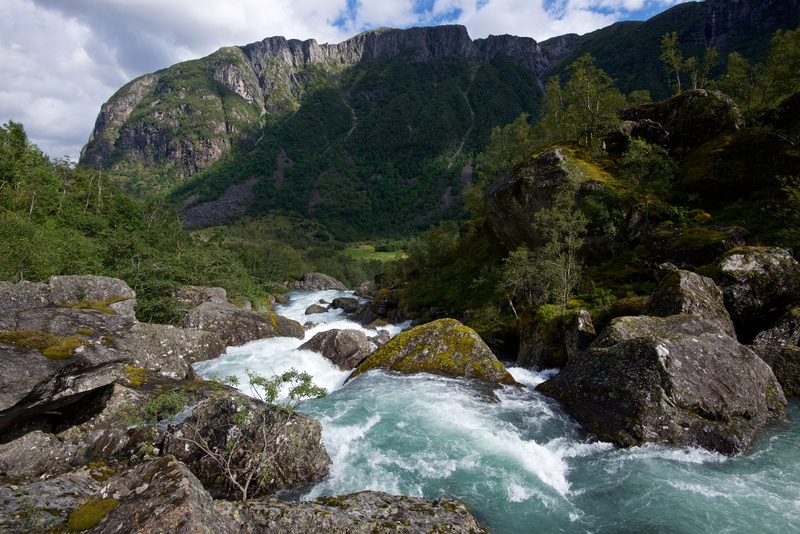 It is an approximately 15 minutes drive from the hotel to Røte in Kinsarvik, the starting point of HM Queen Sonja´s hike. Sørfjorden is a 38 kilometre long branch of the 179 kilometer long Hardangerfjord, the “Queen of the Fjords”. 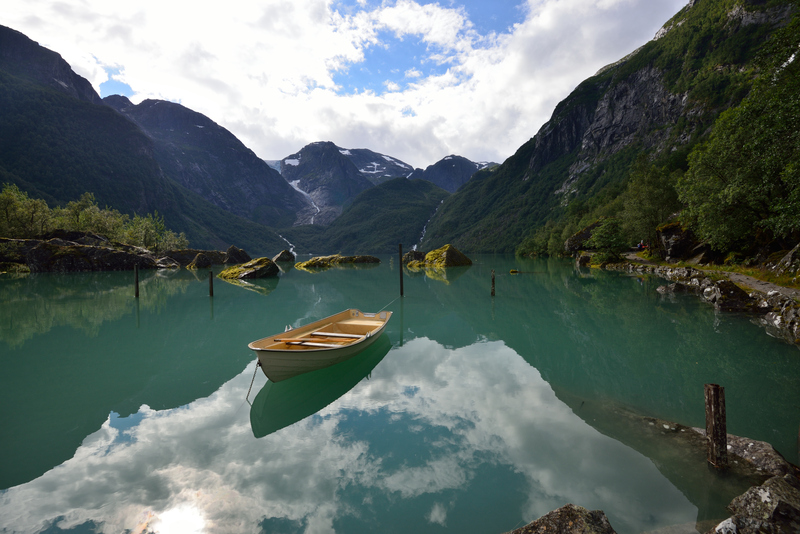 In the middle of this fjord arm, between Odda and Eidfjord, you find the beautiful village Lofthus with the historic Hotel Ullensvang. 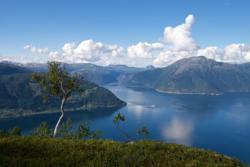 Take a proper break at the hotel, one of Norway`s historic hotels. 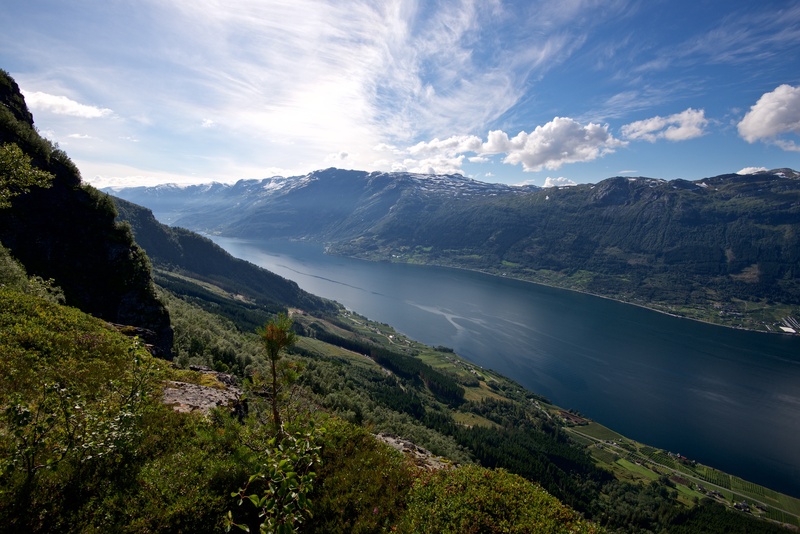 The hotel’s history dates back to 1846 and is situated by the shore of the Hardangerfjord.